Roger Ebert was likely the most famous movie critic of all time. He started reviewing movies for the Chicago Sun-Times in 1967 and he was a television movie critic for more than 35 years during which time he and a co-host created the pop culture reference Two Thumbs Up. He received a Pulitzer Prize for his movie reviews and is the only movie critic to have a star on the Hollywood Walk of Fame. There are a handful of movie critics that I enjoy reading or watching that I return to again and again. Critic Roger Ebert was one of those. Due to his problems with cancer he was not able to speak in the last years of his life but he was still an influential film critic, making extensive use of the written word, which he promoted with his team on the television and online versions of Ebert Presents At The Movies. Over the next few posts, learn a bit more about Roger Ebert and his movie reviews and books. Forbes called Roger Ebert, "The most powerful pundit in America." A pundit being someone who offers the world through the media his or her opinions on a subject. I am inclined to agree with that statement. 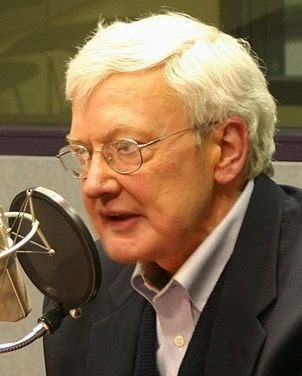 Image of Roger Ebert from Wikipedia.